Kale, the super food of 2014, is known for being a nutrient-rich green and healthy addition to any smoothie, salad, or veggie medley. But it looks like kale’s image might be changing, as you are about to be able to find it in the very last place you would expect — that’s right, McDonald's might start serving kale. Be assured that McDonalds isn’t about to become the latest Pressed Juicery, rather, they reportedly plan on adding kale as an ingredient to a yet-to-be-announced new product — so don’t expect to find your new favorite raw kale chips there. The fast food behemoth’s decision to include the leafy green on the menu is more strategic than a testament to their affection for the vegetable. As the chain’s sales continue to decline, executives are struggling to find ways of convincing customers that McDonald's serves quality food with fresh ingredients. Already this year, McDonald's pledged to stop serving poultry raised with antibiotics and made a very poor attempt to market broccoli to children. 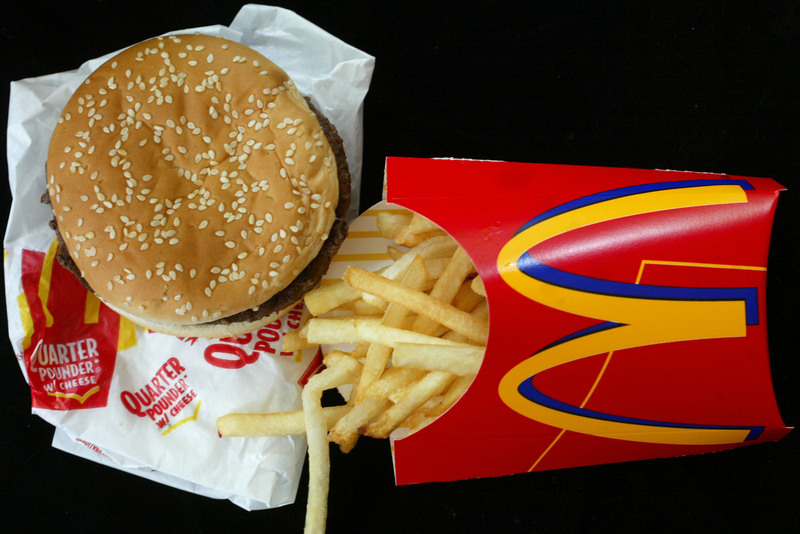 But will the addition of the trendy health food help turns things around for McDonalds' image? Probably not, after all, there is mounting evidence that their food is, shall we say, less than the high quality that they supposedly strive for. The fries are flammable and can literally be smoked, the beef isn’t believed to be real beef, and one customer was even served heroin, which isn’t recommended by any doctor I know as part of a balanced diet. Alex Chung’s collaboration with Nails Inc features a based coat that is formulated with kale extracts. Apparently, kale’s omega-3s can make everything from your hair to your nails to your skin look healthier. The popular pizza place has been using kale as a salad bar garnish for a very long time. To be clear, it wasn’t for the customers to eat, but rather for their aesthetic pleasure. Hansen’s Natural Cane Soda has a kale flavor, that is. This combination sounds like all sorts of wrong. I’m looking at you, Mackenzie from the Bachelor! Kale is not at name for a child, it is a vegetable for eating. Understood?